Ajith has ordered gold chains for all the technicians of Vedalam. Just 3 days more for the most expected film of the year, Ajith starrer Vedalam to hit the screens. A known source hints to us that Ajith has ordered gold chains for all the technicians involved in the making of Vedalam. Such a nice gesture by the 'Ultimate Star'!!! Stars always gift their crews with goodies and specially when it is a festival time, they never miss out on such an opportunity. It must be noted that Ilayathalapathy Vijay had gifted 260 odd Puli team members a gold coin each and also Tirupati laddu as prasadam in celebration of Pongal, earlier this year. 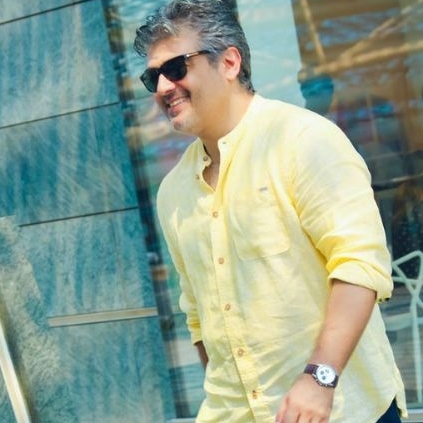 ''Ajith is totally detached from his Superstar status." Ajith Starrer Vedalam's Introduction Scene Leaked. Ajith's Vedalam Will Be The First Indian Film To Have A Direct Release In Poland. People looking for online information on Ajith, Ajith gift to Vedalam team, Vedalam will find this news story useful.